The Best is Yet to Come is specially written for seniors who can no longer sit comfortably in easy or other poses, and also for teachers who want to make yoga more accessible for beginners who may be in or entering the second half of their lives. Mangala Singh's practical knowledge is based on many years experience in teaching yoga to older students - those who don't want to face the challenges of a regular yoga class but still want to enjoy the experience. 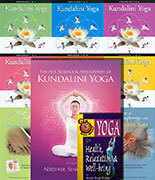 You will learn how to adapt the most popular yoga poses and exercise sets to suit your own personal needs and abilities. This book will help you minimize the unwelcome symptoms of declining physical activity, and to perceive the aging process as a benefit, a stage of maturation opening you up to transformation from sheer physicality to powerful wisdom and insight. The concept is based on two pillars - the physical and the subtle. Progress in these areas is a guarantee of maintenance of quality of life as you grow older. At a subtle level you will discover how to align and renew your life in relation to the changing condition and challenges of the aging process. The wide range of meditations found in the teachings of Yogi Bhajan offers the perfect toolkit for aging gracefully and successfully. Mangala Singh (Willem Wittstamm) has always felt an affinity for older people. He ascribes this to growing up with 7 loving aunts! He was always fascinated by the increased knowledge, wisdom, grace and inherent beauty that accompanied the aging process. 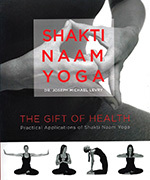 Offering classes to seniors was therefore a natural progression on his path as a yoga teacher.